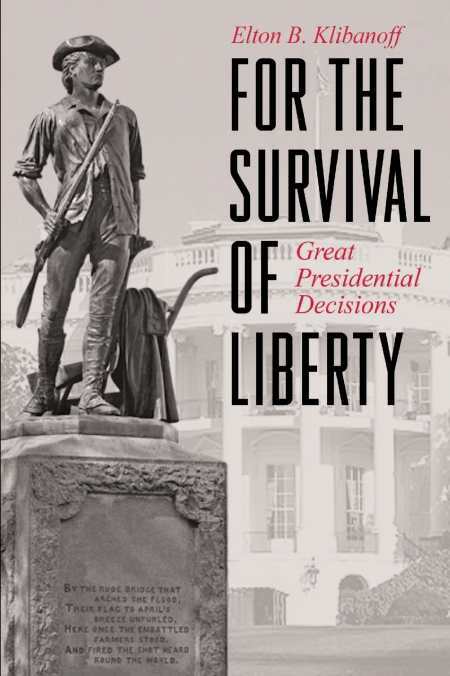 The biographical format of For the Survival of Liberty: Great Presidential Decisions makes it an easy read, and its choice of subjects—Washington, Jefferson, James Monroe, Lincoln, Woodrow Wilson, and Franklin Roosevelt—creates a coherent narrative about how presidential decisions of the past continue to affect Americans today. For example, Klibanoff explains the entrenched racism of early American politics, writing that Jefferson reversed his previous convictions about the fundamental humanity of Native Americans when it became expedient to resettle them to ensure American control over the newly acquired land of the Louisiana Purchase. Jefferson’s haste created the hypocritical conflation of freedom constructed on the backs of slaves that Lincoln inherited, a structural inequity that threatened America’s image abroad. The chapters on James Monroe and Woodrow Wilson are especially instructive; Klibanoff’s discussion of the Monroe Doctrine illuminates his chapter on Wilson, whose foreign policy was used to expand our nation’s sphere of interest to include defending democracy worldwide. Similarly, Wilson’s presidency presaged both America’s involvement in World War II and the New Deal, which extends our understanding of basic human rights to include the social safety net of unemployment, Social Security, and medical care. In short, each presidency paves the way for future leaders, and the path we have travelled is fascinating every step of the way. An uninformed electorate poses an existential threat to the institutions of liberty, and one hopes that books like this one can remedy deficiencies in America’s teaching of its own history. Klibanoff’s accessible prose is straightforward and frank, and reading his book would be a worthwhile warm-up exercise for Election Day. Full agreement on which presidents were the most influential or far-sighted is probably impossible, as is a complete analysis of all their flaws, but this book makes clear that their deeds and governing philosophies continue to affect the political landscape that today’s voters are being asked to shape.